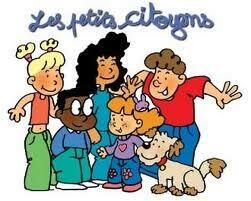 Les petits citoyens | Have You Seen This? French news site for children with games, news, social issues. Bright and colourful, appealing to students. Books can be ordered from this site on such topics as the rights of all children. The KIDIKOI card sets ask interesting and compelling questions for discussion. This site comes from France, so all prices are in Euros. I have not tried to order anything but I will assume it is international.